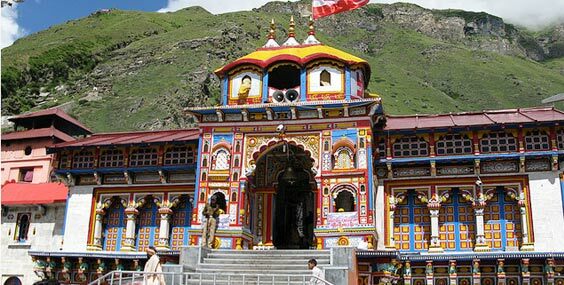 Set at a height of 3584m above sea level near the pious Mandakini River, the temple is flanked by breathtaking snow capped peaks. The temple is not directly accessible by road and one has to undertake a 14 km uphill trek from Gaurikund to reach it. Pilgrims frequently use pony and manchan services to travel to the temple. One of the holiest shrines of Lord Shiva, the temple is believed to have been built by the Pandavas and revived by Adi Sankaracharya. Besides, it is one of the twelve Jyotirlingas and is therefore held in very high esteem by the Hindus. As per Hindu mythology, after the Mahabharata war was over, the Pandavas in order to absolve themselves of the sin of killing their relatives embarked on a pilgrimage. Before they set off, they went to meet Lord Shankara only to find out that he was away in the Himalayas. So they travelled to the Himalayas via Haridwar. But when Lord Shankara saw the Pandavas, he went into hiding. The Pandavas were not amused and started searching for Lord Shankara. During one such wandering Bheema came across a unique-looking buffalo which Bheema chased after with his mace. The buffalo did manage to outmaneuver Bheema but was finally hit by the mace; he then tried to hide his face in a crevice. Bheema caught hold of its tail and a tug-of-war commenced. The buffalo finally managed to wriggle free and reached Nepal leaving behind his hind parts in Kedar. The region where the hind legs fell, a JyotirLinga appeared and from its light Lord Shankara also appeared. This way the Pandavas managed to get the Darshan of Lord Shankar and were absolved of their sins. The Lord also made the promise that from now on he will stay in the place in the form of a triangular shaped JyotirLinga and anyone who takes a Darshan of Kedarnath would be absolved of their sins and would attain piety. Gandhi Sarovar: It is a small lake and the place from where Yudhisthira, the eldest of the Pandavas, made his way to heaven. 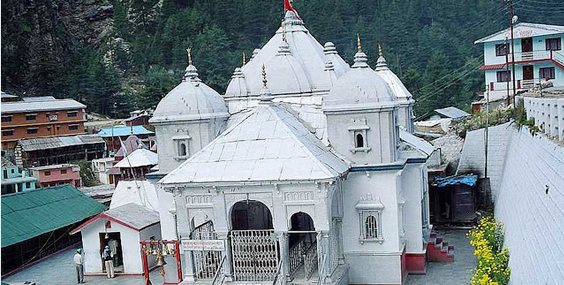 Gauri Kund: A Hindu pilgrimage site and base for treks to Kedarnath Temple, it is associated with the legends of how Ganesha came to have his elephant head. Vasuki Tal: Located at a distance of about 8km from Kedarnath Temple and at an elevation of 3584 m, the lake is very picturesque and is surrounded by alpine mountains and offers panoramic views of the nearby Chaukhamba peaks. Sonprayag: The holy site of Sonprayag lies on the confluence of River Basuki and River Mandakin. The place has great religious significance because there is a legend that the holy waters of the lake can help one attain "Baikunth Dham." 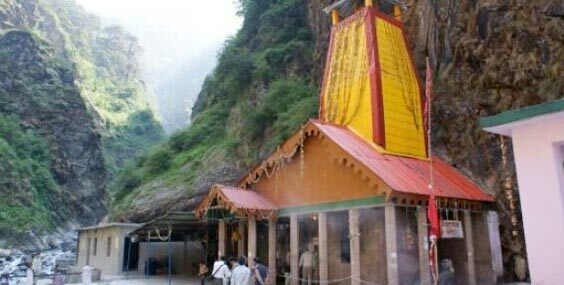 Triyuginarayan: Located at a distance of about 25 from Kedarnath, this mythological venue is the place where the wedding of Lord Shiva and Parvati was solemnized. It is a short trek of 5 km from Son Prayag. An eternal flame, which is said to have been the witness to the marriage, burns in front of the temple even today. Guptkashi: Located at an elevation of about 1,391 m, it is famous for the ancient Vishwanath Temple which is dedicated to Lord Shiva. Another important temple in the region is dedicated to Ardhanareshvara. Chopta: Situated on the Gopeshwar Ukhimath road about 40 km from Gopeshwar at an altitude of about 2500 meters above sea level, Chopta is one of the most picturesque regions in the entire Garhwal region. It provides breathtaking views of surrounding Himalayan ranges. 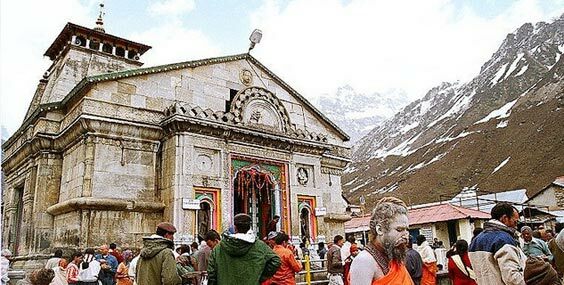 Panch Kedar: Kedarnath, Madhyamaheshwar, Tungnath, Rudranath, and Kalpeshwar are the five most important temples of Lord Shiva in the Garhwal Himalayas. They are known as Panch Kedar.